This Lounge is the support site for Avnet’s MicroZed™ Industry 4.0 Ethernet Kit (I4EK) HSR/PRP users. 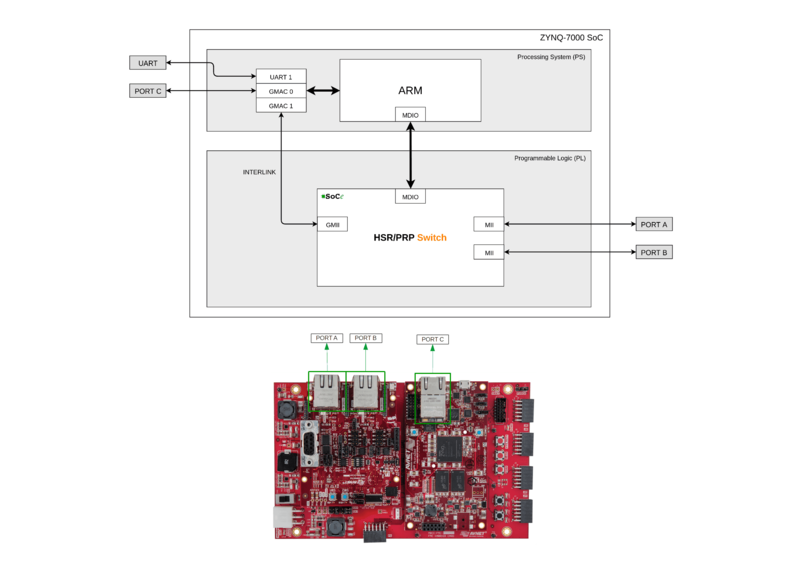 Avnet I4EK HSR/PRP demo is based on Avnet’s MicroZed Industry 4.0 Ethernet Kit (I4EK), which is an evaluation board that demonstrates multi-protocol Industrial Ethernet in the Xilinx Zynq-7000 SoC. This demo allows the user to evaluate SoCe HSR-PRP Switch IP Core that implements a DAN (Dual Attached Node) topology supporting HSR and PRP v3 Redundant Ethernet protocols (IEC 62439 clause 5 and 4). These protocols ensure high availability for the networking on critical infrastructures offering zero-delay recovering time and no frame lost in case of a network failure. All the demo files can be downloaded from the link below. However, you will need to request the user & password to SoC-e (just send an email to info@soc-e.com and we will provide it).